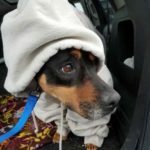 Buddy – 3 year old male Doberman mix, Gets along with other dogs. Potty trained. Such a cutie! He’s so well mannered and affectionate. Gives kisses and is a cuddle bug. Knows basic commands. Cherry – 1 year old female pit mix. Her ears are the cutest thing! What direction are those thing goin’ in?? Haha Cherry loves other dogs, but we don’t know how she will react to cats. She is playful and loves playing with her toys. Potty trained and Crate trained. Loves to be with her human. 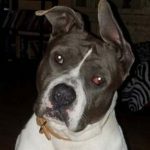 Diana – Diana is a 2-3 year old boxer mix who was found starving as a stray. Her puppy was found with her, but she was healthy because Diana took such good care of her. She is a calm girl who deserves to be pampered for being such a good mom and saving her puppy’s life. She house broken and tolerant of other dogs. She loves to cuddle and rest with you. Beautiful. Recently found out she loves chew toys! She is also good with other dogs and has begun actually running and playing. 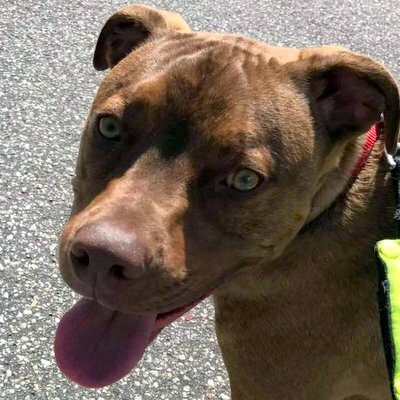 Kadour – Kadour is a three and a half year old pit bull mix. He is housebroken and will tolerate being in a crate for a short time. If left unsupervised in the house he is generally fine, but may pull down blankets or move shoes around to show his displeasure at being left alone. He generally gets along with female dogs but should not be in a home with another male dog. 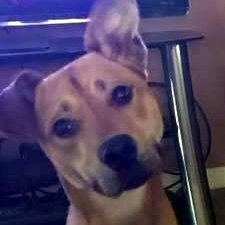 He must meet any potential fur siblings and would probably be best in a home with no other animals or one younger/smaller female. No cats. At all. Ever. No. He is great with kids! Kadour takes treats gently and is, in general, a big cuddle bug. He will sleep with you in bed very happily if you let him and will cuddle on the couch all day long. He is a sweet dog. He loves toys. Kadour loves hooves and other chewy toys. I mean, really, who doesn’t? He also LOVES car rides. If he sees the leash, he wants to go for a ride. He also loves to explore! He does well hiking and canoeing. If you are not the exploring type, Kadour is willing to explore on his own by jumping even your 6′ tall privacy fence. We recommend an electric fence in addition to a privacy fence or keeping a very watchful eye on him when you are outside together. He should never be left outside unattended. He will jump the fence. Kadour has had a rough start. 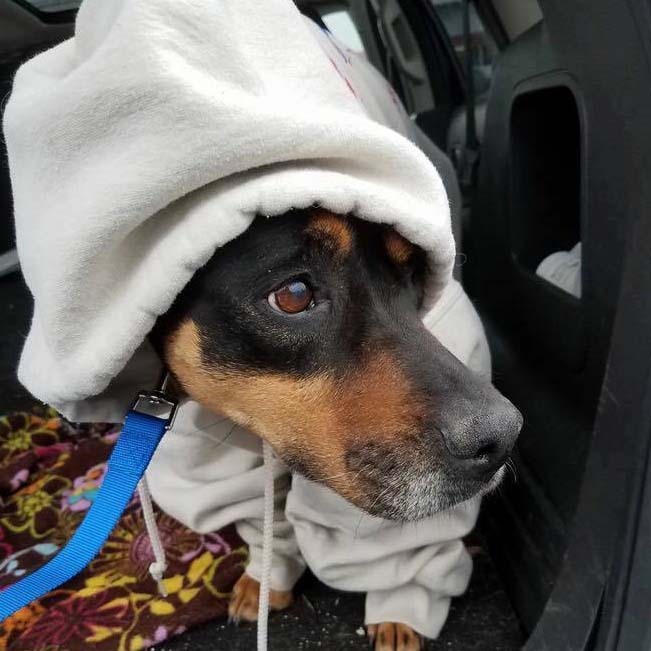 He was initially rescued from a bad situation by a hero human. Then that hero human was killed in a motorcycle accident. TARA found Kadour a home and he is back with us not due to no fault of his own. 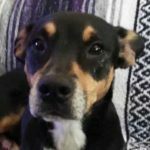 Mazi – Mazi is a 10 year old Rottweiler mix. Mazi has significant separation anxiety. She CANNOT be crated. She has done well in the past left out of the crate, but has also been known to be destructive as well. It’s unpredictable. She will “re-decorate” if left alone too long. 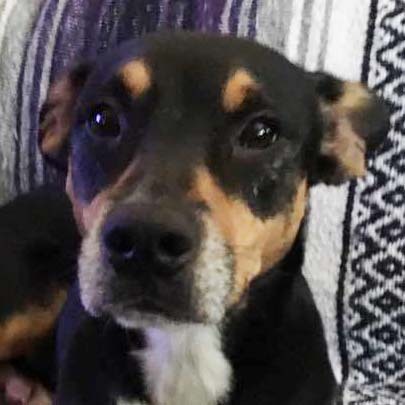 Mazi needs to go to a home where her human companion is mostly always home, and willing to work through what is going to work if they do have to leave for short periods of time. Mazi does not interact much with other dogs, but she does best when there are other dogs around. She tends to just ignore them, but she seems to be comforted by the fact they are there. She does not like to share chew items, such as antlers or hooves or toys. If another dog does try to take one of these items from her she will stick up for herself. In her foster home she lives with three other energetic dogs, and since everyone has figured everyone else out they are all fine. She is very easy to take care of. All she really does is sleep. She gets up every now and then to come say hello and get some pets, maybe take a slow trot around the yard, but then she typically just lays back down. Mazi most likely does not have a lot of time left. 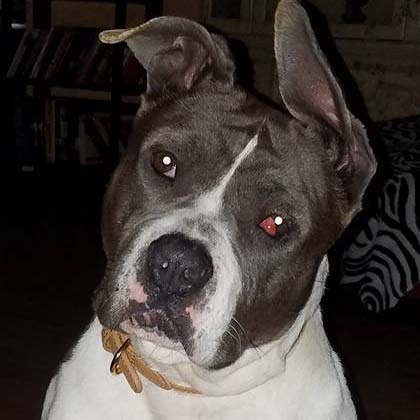 We would like to find a place for her to live out her last couple years in comfort where she will get love. We think she has not had a great life up till now so we want her to be comfortable and happy for what is left. She is heart worm negative, is 100% potty trained, and has a clean bill of health. She is skinny (about 45 lbs) from living as a stray, but will gain weight as she continues to eat regularly. She is very sweet, calm, and very cool dog. She is beautiful. 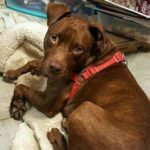 Perseus – Perseus is a one year old pit/terrier mix. He gets along great with other dogs and does great with kids. 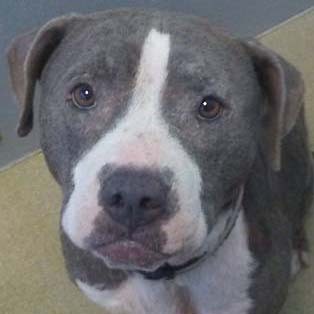 He loves to play with his furry buddies, is very good at sharing toys, and is very polite to others at chow time. He is potty trained and crate trained as well. He does not get crated in his foster home when his foster mom is not home and he does just fine. He is very, very well mannered and has had some obedience training in the past. He is the very best at snuggling! He is so friendly and happy and loves his human buddies. He is pretty quiet and calm, and VERY well behaved. He is very sweet and handsome too!! Rocky – 1 year old lab mix, he is a sweet boy who gets a long with other dogs. Roxanne – 2 year old female pit mix. Needs to be on a grain free diet because she has allergies. (I mean who doesn’t?) Gets along with other dogs her size and likes car rides! She makes a great Co-Pilot! No small critters. 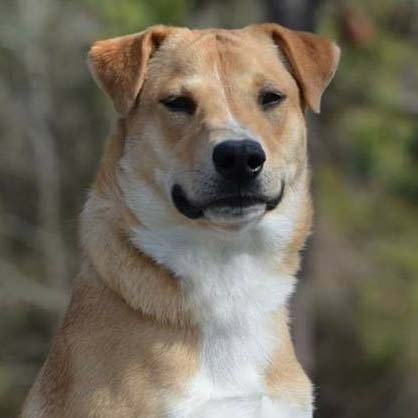 Spotlight – Spotlight is about a year old, lab/collie mix. He likes other dogs, and LOVES toys. He is hoarding all of the toys in his foster home! 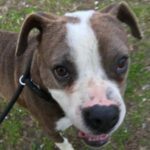 He is very sweet and loves to give his humans kisses. He is very well mannered in the home, but also has a lot of energy and really playful. He certainly should have another furry sibling with the same energy! Last PostBuddy – AvailableNext PostLulu – Adopted!